Oftentimes, women and minorities don’t always receive the same opportunities to reach success as others. I know firsthand what that feels like, as an African-American woman who works in the public relations and communications industry and who also happens to be an entrepreneur. My successes encompasses many hurdles and experiences that I had to overcome. Those hurdles have also allowed me to be a light for many young women of color who are interested in pursuing careers in the advertising, public relations, and marketing realm. That’s why I spoke at the Ad Women For All Women Conference on Tuesday to share my experiences in the communications industry. 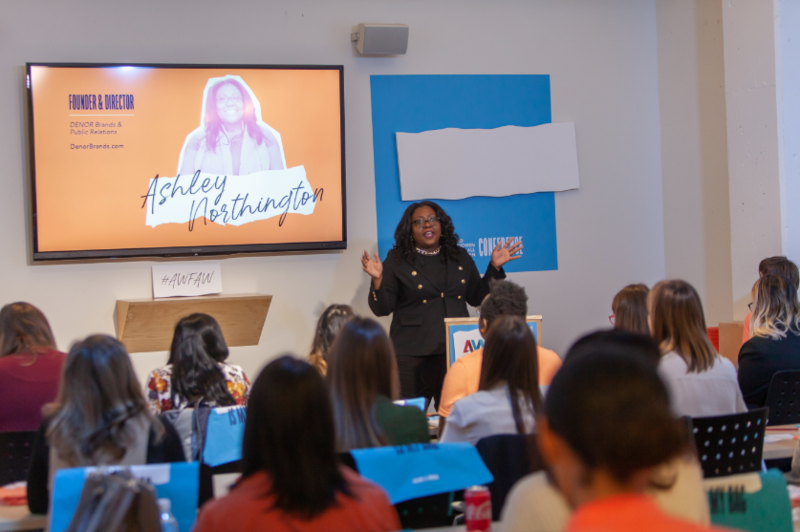 Ad Women For All Women aims to introduce young women in high school and college to the opportunities available in advertising, to ignite their passion for the business we know and love, and to support them as they endeavor to become a part of it. Click here to watch me speak.